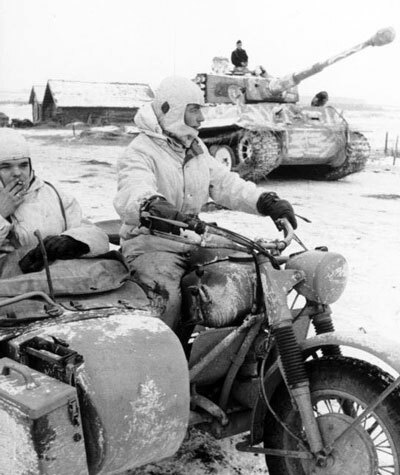 1943 drew to a close in the cold of the Ukrainian winter, with German Army Group South in crisis. Retreating everywhere since the defeat at Kursk, a succession of Soviet offensives saw the liberation of Kharkov, Kiev and the crossing of the Dnieper River line. They were outnumbered everywhere, and knew that another Soviet strike would surely come in the new year. Faced with the reality that he could not possibly hold the line, Field Marshal von Manstein realised that he needed mobile reserves. It was at this time that the German general staff’s genius for organisation and flexibility was demonstrated. Hurriedly independent units and portions of larger formations in reserve were flung together to form a kampfgruppe. An experienced commander, Oberstleutnant Dr Franz Bäke, was placed in command and soon formed a unique group of forces into a cohesive Regiment. Then they were hurled into action. 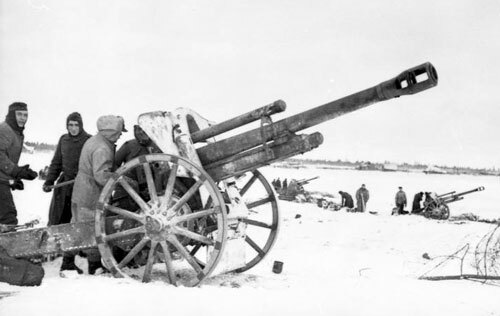 Schwere Panzerregiment Bäke’s first battle was at the Balabonowka pocket in January 1944, where it immediately had to halt a Soviet offensive. On the boundary between First and Fourth Panzer Armies, five Soviet Tank Corps from 1st Tank Army had broken through and headed for Vinnitsa. 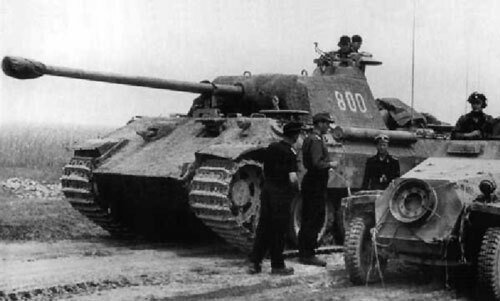 On the open steppe between the Bug and Dneiper Bäke’s Tigers and Panthers met the Soviets. They destroyed over 250 Soviet tanks for the loss of just four. During this battle Bäke personally destroyed three Soviet tanks at close quarters with infantry weapons. Next Schwere Panzerregiment Bäke led attempts to relieve the Korsun-Cherkassy Pocket. Zhukov had launched two Soviet Fronts – Vatutin’s First Ukrainian Front and Konev’s Second Ukrainian Front – in a pincer operation that cut off 60,000 German troops around Korsun. The Soviet offensives were now well organised and they had followed up their tank thrusts with mobile infantry to seal off the fifty kilometre gap between the surrounded troops and German lines. III Panzerkorps and XLVII Panzerkorps were rapidly launched in counter-offensives to break them out. Schwere Panzerregiment Bäke formed the spearhead of III Panzerkorps. Thrusting through two Soviet Infantry corps and 5th Guards Tank Corps (including units equipped with ISII heavy tanks), Regiment Bäke reached the Gniloy Tikich River, just ten kilometres from the pocket. Though falling short it held the southern flank open to allow thousands of the trapped men to escape. There was little time to recover after Korsun. In March Schwere Panzerregiment Bäke was itself encircled in the Kaminets-Podolsky pocket, better known as Hube’s pocket. Here Zhukov and Konev launched another offensive with two huge pincers, this time cutting off the entire 1. Panzerarmee under General Hans Hube in a huge sack between the Bug and Dniester Rivers, further to the west of Korsun. By now von Manstein and Hube were not about to sit idly by waiting for orders. While his force was mobile he would get himself out. Rather than break through the bulk of the Soviet spearhead in front of him, von Manstein ordered Hube to thrust sideways, through the weaker Soviet flanking forces. Once again Schwere Panzerregiment Bäke formed part of the spearhead of Brieth’s III Korps. They were part of the force that cut through the Soviets infantry along the Zbruch River. Hube had ordered all non-fighting equipment to be ruthlessly discarded and both combat and support units moved with the panzers as transport. These desperate measures were successful and led to the successful break-out. 1. 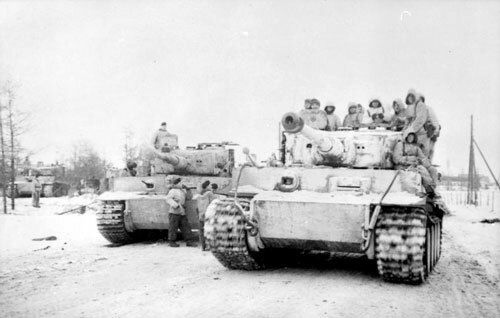 Panzer Armee reached German lines on 5 April. With both Soviet and German forces worn out on the southern front, there was finally time to regroup and for the Germans to stabilise the front. In May 1944 Schwere Panzerregiment Bäke was split up and its components returned to their parent divisions. The German army had long practiced combining tactical sub-units into a Kampfgruppe for particular operations. As the war dragged on, and gradually turned against Germany, this virtue of flexibility became a necessity. By the Late War period many Kampfgruppen up to regimental or divisional size became semi-permanent, with internal logistics to sustain them. In the long term this practice was counter-productive, with many conventional divisions under-strength due to various missing sub-units. Nevertheless, some of the Kampfgruppen were highly successful. Schwere Panzerregiment Bäke was a fully self-contained force created by combining various independent units with others withdrawn from line divisions. 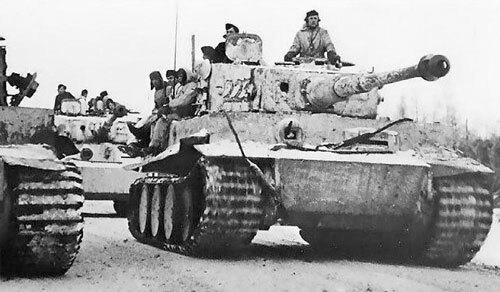 Although primarily a panzer unit, it had supporting infantry and artillery. By 1944 Oberstleutnant Dr Franz Bäke was one of the most capable and experienced front-line panzer commanders in the German Army. Born in 1898 in the town of Schwarzenfels, Bäke had served in World War One as an enlisted man. He fought in the infantry on the western front including the battle of Verdun, was wounded, awarded the Iron Cross Second Class and finished the war as a sergeant and officer candidate. Between the wars he studied dentistry, gained his doctorate, and established a successful professional career. 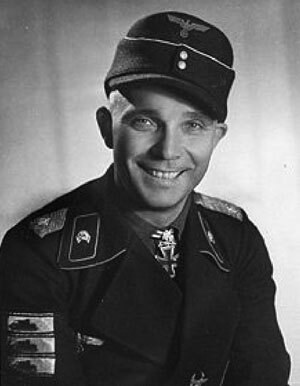 Still a reserve, Bäke was called up in 1937, and was a Leutnant commanding a panzer platoon at the start of the war. 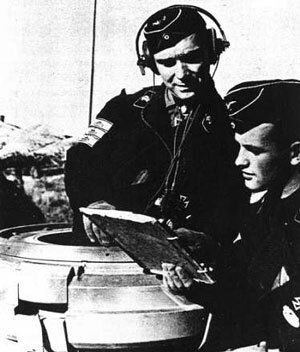 Bäke’s platoon was part of the Panzerabteilung 65, 1. Jägerdivision, later reorganised as 6. Panzerdivision. 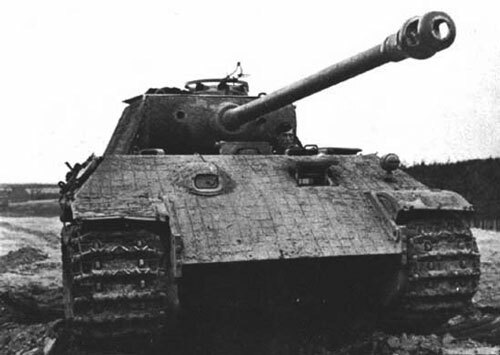 Equipped with the Czech Panzer 35(t) tanks Bäke’s unit took part in the invasion of Poland, where Bäke served well and was promoted to company commander. In France 1940, 6. Panzerdivision formed part of Guderian’s strike force through the Ardennes. Bäke’s Company captured a key bridge across the Meuse. Wounded twice in the campaign, Bäke was awarded the Gold Wound Badge and the Iron Cross, First Class. In 1941 6. Panzerdivision was transferred to East Prussia for Operation Barbarossa. Bäke’s role changed to a staff position in charge of recovery of damaged tanks. As Regimental Ordinanz-Offizier he carried out tank recovery with his customary energy and intelligence. With Operation Typhoon reaching its climax he often led ad-hoc kampfgruppen forward on missions. After the winter of 1941/42 the worn-out 6. Panzerdivision was withdrawn to France for rebuilding. Bäke was promoted to commander of II Abteillung/11. Panzerregiment. By the time the rebuilt division was ready for combat Stalingrad had been encircled. 6. Panzerdivision was transferred back east and thrown into the relief attempt. Unable to break through, it then helped encircle and destroy Soviet tanks thrusting towards Kharkov. For this action Bäke was awarded the Knights Cross in January 1943. At Kursk 6. Panzerdivision formed part of Hoth’s 4. Panzerarmee attacking from the south. Wounded again himself, Bäke continued in battle and took over command of 11. Panzerregiment when its commander was severely wounded. Bäke led the unit through the defensive battles towards the Dneiper, receiving the Oak Leaves to the Knights Cross in August 1943. He was promoted to OberstLeutnant der Reserve and ordered to form Schwere Panzerregiment Bäke in December 1943. Six months of intensive combat involving the Regiment proved Bäke’s ability to command larger formations. Bäke was awarded the Swords to the Knights Cross for his efforts to relieve the Korsun pocket in February 1944. 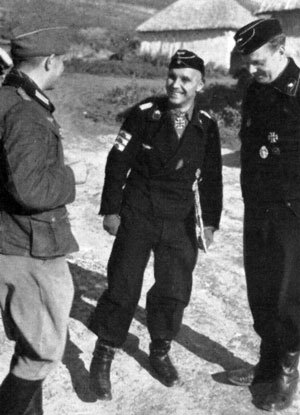 After further defensive battles Bäke’s unit was disbanded in May 1944. 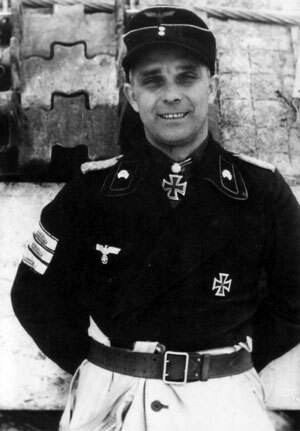 Bäke took command of Panzer Brigade 106 Feldherrnhalle, now forming in the west with Panthers and armoured infantry. By September these were fighting defensive battles against Patton’s 3rd US Army. At first successful against US tanks, Bäke suffered his first defeat when he attacked the US 90th Infantry Division, which took the Panzer attacks in its stride and counterattacked with bazookas and at the Panzergrenadiers. Feldherrnhalle fell back with heavy losses. In January 1945 Bäke did a course in divisional command and in March led Panzerdivision Feldehernhalle 2 in the final offensive in Hungary. Bäke led them back to Czechoslovakia where he was promoted to General in April. In May he led them in a breakout through encircling Soviet forces to surrender to American forces at the Elbe. After the war Bäke was held as a POW until 1950, and then returned to his dentistry career until his death in a car accident in 1978. Intelligence Briefing now in Grey Wolf.